← Money Isn’t The Most Important Thing In Life, But, It’s Reasonably Close To Oxygen…. 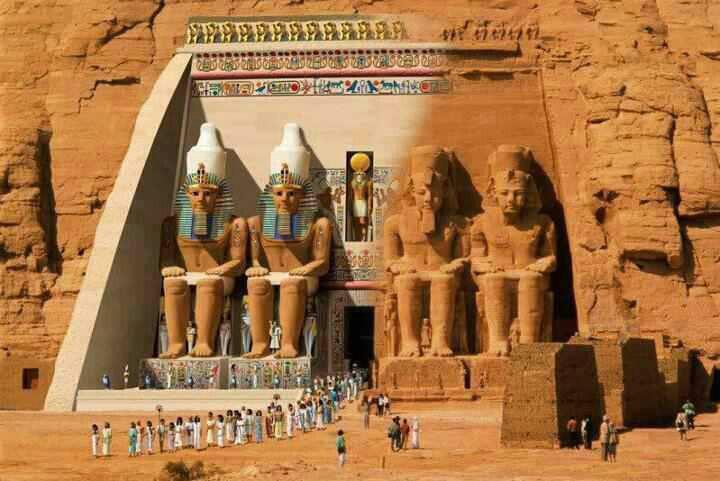 The general image of Egypt is that of the pyramids, sphinx, temples, and a rather nasty pharaoh. But, such an image has more to say about Cecil B De Mille’s Hollywood extravaganzas than history. The sad thing is that a large amount of our ‘Egyptology’ has been molded by Judeo-Christian anti-Egyptian prejudice. Even if we consider we are in a ‘post-Christian’ culture, these images still have more of an effect than we ever would like to admit. The 19th century paradigm of Egyptology continues until this day, even though it now possesses a veneer of scholarship and scientific investigation. 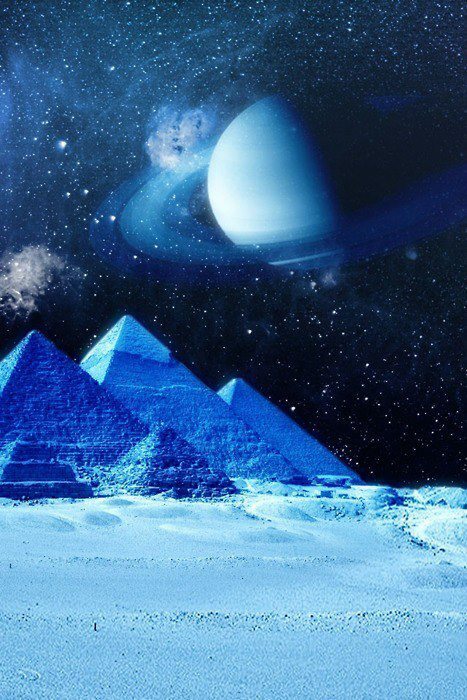 This is an attempt to shed the truth on some aspects of Ancient Egypt and how it achieved eternity by influencing Life everywhere and all times. To understand the Ancient Egyptians, is to understand their ‘religion’ (for lack of a better term). In Egypt, what we now call Religion, was so widely acknowledged that it did not even need a name. The Egyptians regarded the universe as a conscious act of creation by the One Great God. The fundamental doctrine was the unity of the Deity. This One God was NEVER represented. It is only the functions and attributes of his domain that were represented. Once a reference was made to his functions or attributes, he became a distinguishable agent; reflecting this particular function or attribute, and its influence on the world. His various functions and attributes as the Creator, Healer, and the like were called the neteru (singular neter in the masculine form and netert in the feminine form). As such, an Egyptian neter/netert was not a god or goddess but the personification of a function or attribute of the One God. Central to their complete understanding of the universe, was the knowledge that man was made in the image of God, and as such, man represented the created image of all creation. Accordingly, Egyptian symbolism and all measures were therefore simultaneously scaled to man, to the earth, to the solar system, and ultimately to the universe. The Egyptian thinking that One God can be represented through his functions or attributes is reflected in mankind. Each one of us has various functions and attributes. A person can be a teacher in the classroom, a father to his children, a husband to his wife, a player on his team, …etc. This person does not have multiple personalities, but multiple functions and attributes. Ancient Egyptians recognized the universal validity of this kind of thinking, and applied it to all the levels of the hierarchiacally organized world. Even though it may appear complex at first sight, it is both coherent and consistent with experience. This was the essence of the Egyptian Philosophy. It is a real philosophy based on organized, systematic, consistent and coherent principles. It is important to realize that for Egyptians, every physical fact of life has a symbolic meaning. At the same time, every symbolic act of expression had a material background. The totality of the Egyptian civilization was built upon a complete and precise understanding of universal laws, in all aspects of life. For the people of Egypt, there were no perceived differences between sacred and mundane actions, as we moderns believe there are to be. Every action no matter how mundane – plowing, sowing, reaping, brewing, builidling ships, etc. was viewed as an earthly symbol for a specific divine activity. The typical Egyptian tomb sowing and reaping scene parallels the biblical parable. “Whatsoever a man soweth, that shall he also reap”. This was intended to be a spiritual message, not agricultural advice. This entry was posted in Uncategorized and tagged ancient egypt, AncientEgypt, children, consciousness, education, egypt, Egyptian, Egyptology, enlightenment, environment, god, health, History, hollywood, humanity, islam, Judeo-Christian, learn, life, love, philosophy, Religion, United States. Bookmark the permalink. 4 Responses to Welcome To Egypt…. work. If you’re even remotely interested, feel free to sed me an email.